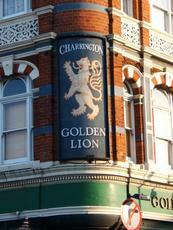 A rare breed of pub: It survived aggressive attacks from property developers and has maintained a community focus. 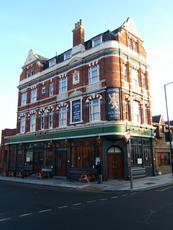 Classic London boozer with good beer, loyal regulars, and Victorian décor. Pool table and darts, as well as a duke box meaning you could spend all day in here! Could be my new 'local'. Superb. An absolute gem of a boozer. I’d be very sorry to see this place close. We went in for the first time last week and the punters and staff were very friendly and the pubs interior and exterior oozes character and old world charm. The exterior is looking a little tired but it’s still an imposing building and surprisingly once you enter it’s really well preserved with the typical North London high ceiling and long bar. The minute I walked in here I felt immediately at home - a regular started up a conversation as soon as we sat at the bar and by the end of the night we were chin-wagging away with other drinkers and staff. A proper community boozer and one I’ll return to as long as it’s doors are opened. a wee gem of a pub, a mix of locals, near by workers and the occasional lost tourist and all made to feel welcome.One of those pubs that people say are so hard to find,a real old fashioned boozer,a pool table,a discreet television and a great pint of guinness and well mannered attentive bar staff.my one quibble (is there such a thing as a perfect pub remember all gems do retain a slight flaw) is the erratic volume control of the juke box one minute back ground music the next heart attack alert.maybe this is just a way to keep old soaks like me on my toes,if your in the area pop in. Been in here a number of times and it's pleasant enough without being memorable. Has a pool table and darts board and a fairly limited selection of beers. The lady behind the bar was pleasant and chatty as was the one other person in there on my last visit (and his dog). I walked into here and was greeted by the very friendly landlady just as one of the locals selected Mull of Kintyre on the jukebox. I thought that I had stepped back in time, especially after spotting the old �Open all Hours� type tills behind the bar. There is a pool table and a dartboard in this long thin bar, not that anyone was playing. The toilets could do with a bit of a scrub as I was very glad to exit them after having a very quick leak. There are four old hand pumps in this pub, one of which was displaying a clip for Toby cask, but alas they do not sell any real ale. I�m not sure what the clip is there for, but there is a standard draught selection and my pint of Guinness was spot on. This is a decent enough pub if you like your old Irish boozers, which I do so I would go back again if passing.